The just-tabled Bill 9 would also help eliminate the backlog of applicants — and give government the power to move them to the regions. The immigration minister has tabled sweeping legislation designed to eventually increase his powers to verify the knowledge of French, Quebec and democratic values of new arrivals as was promised in the provincial election campaign. And the Coalition Avenir Québec government is also seeking the power to trash a large chunk of the backlog of 18,000 immigrant applications it found sitting in government file cabinets when it took over from the Liberals rather than try to process them. Quebec plans to refund the $1,000 application fee for anyone who applied to enter Quebec as an economic immigration before Aug. 2, 2018 under the Regular Skilled Worker Program. The move will cost the treasury about $19 million. Some of the applications date back six years. Applicants will be informed of the decision and, if interested, may re-apply under the existing Expression of Interest Program, which matches the work skills of potential immigrants with employers seeking labour. 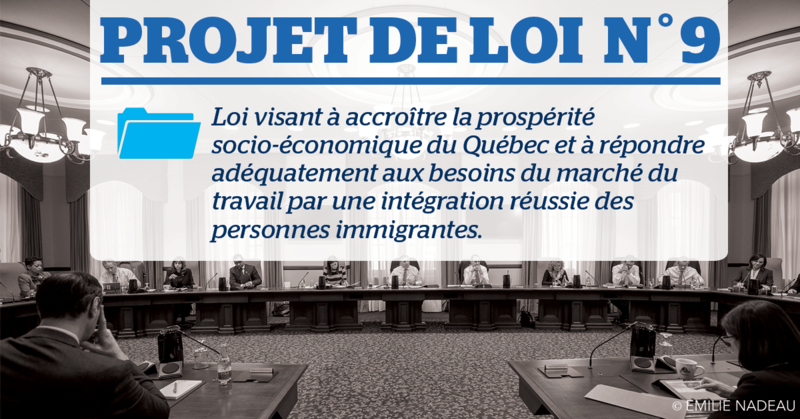 That reflects the CAQ approach to “marry the profile of workers and available jobs,” instead of the old first come, first served system, said Immigration, Diversity and Inclusiveness Minister Simon Jolin-Barrette.